A review of the United Community Health Insurance Company finds a company that is no longer doing business. Founded in 1967 and originally named the Urban Community Insurance Company, United Community Insurance Company was placed in liquidation at the end of 1995. Instead, this will be a review of the United American Insurance Company. Looking for health insurance? You’ve come to the right place! Just put your zip code into the box on this page and you’ll be able to search through health insurance quotes from providers in your area. The Texas-based company focuses on the customer, providing them with the best possible products, both in price and content. The United American Insurance Company sells individual health insurance, as well as supplemental health insurance, life insurance, and annuities. It also sells health plans as part of employee benefits packages. United American is very Internet-focused in terms of the administration of its policies and services. It has links on its company website to different Web-based portals for policyholders and providers. Policyholders can access the UA eServiceCenter any time of the day or night, and get policy and claim information. Member providers, such as hospitals and doctors, can access the MedicalUA site to get most of their questions answered. This includes checking if a claim has not just been paid, but whether the payment check has cleared the bank. They can also verify a patient’s insurance coverage before treatment. While most companies consider these eservices merely electronic services, United American Insurance Company views them as “essential services” that enable it to help its customers more easily and quickly. United American Insurance Company’s health insurance plans can work as basic coverage or supplemental coverage. Its Foundation Signature Series plan is for customers from infant to age 63, and helps manage deductibles, coinsurance, and co-pays. It helps pay inpatient hospital bills, with a total maximum benefit for any given year not to exceed $10,000. Policyholders can choose to purchase an optional hospital outpatient rider to the plan. The HealthGuard Critical Illness policy pays a pre-determined lump sum of $10,000 to $50,000 upon diagnosis of the policyholder’s illness. This is one-time financial protection should the policyholder end up being diagnosed with something like Parkinson’s or multiple sclerosis. The policy ends once the benefit is paid. United American’s Cash Benefit Cancer Plan is similar to the HealthGuard Critical Illness plan, paying a lump sum benefit of $10,000 to $50,000 upon diagnosis. Its UA-250 Accident Compensation Plan issues payment in case of an accidental injury. The payment is either in the form of a lump sum or a hospital cash benefit. If you live near the company’s McKinney, Texas-based home office and are interested in a job, you can find a listing of its current job openings on its website. Jobs are not just for those in the insurance industry. Agents would do better asking directly at United American’s branch offices for job opportunities. Current available openings at the McKinney headquarters range from human resource specialist to technical analyst, from network analyst to data entry operator. 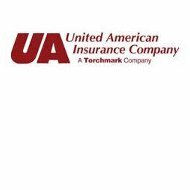 United American Insurance Company has received a superior financial strength rating of “A+” from A.M. Best Company, along with an issuer credit rating of “aa-.” United American has received this “A+” rating for more than 30 years now. A.M. Best has affirmed United American’s positive future outlook, which is a good sign that the company, which has been selling policies for 64 years, will continue to write policies for many more years in the future. Additionally, and perhaps more importantly, it will be able to pay on any claims on those policies long into the future. United American has also received a financial strength rating of “AA-” and an issuer credit rating of “AA-” from Standard & Poor’s. Both are “Very Strong” ratings for their category. Standard & Poor’s also believes that United American has a stable future outlook. Find health insurance quotes now by entering your zip code in the box on this page!